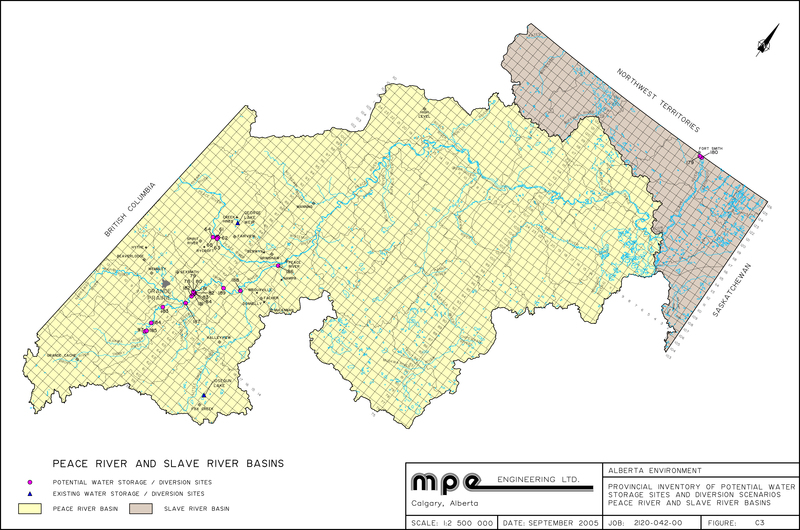 The following is a selection of map resources you can find online. 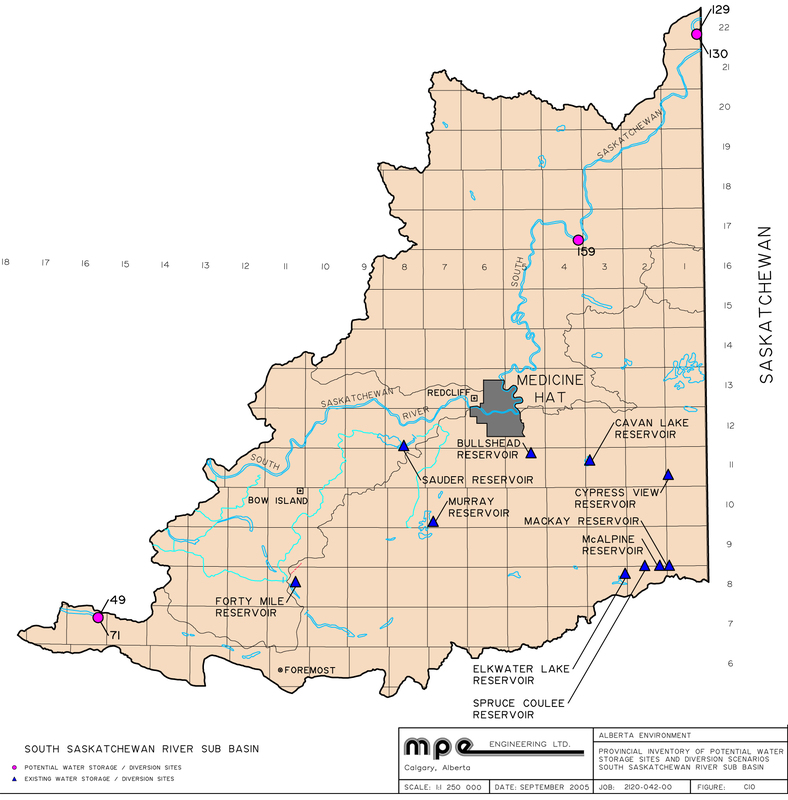 Some of these maps are sourced from an Alberta Environment study to inventory previously identified, potential water storage sites and diversion systems in the province, as part of the provincial “Water for Life" strategy. 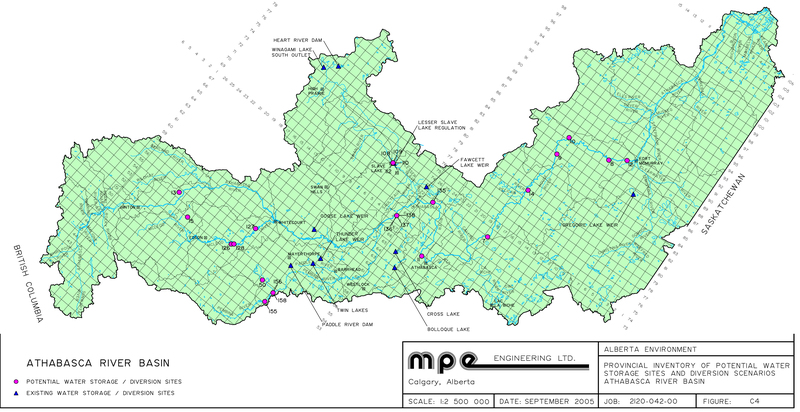 The study was awarded to MPE Engineering. 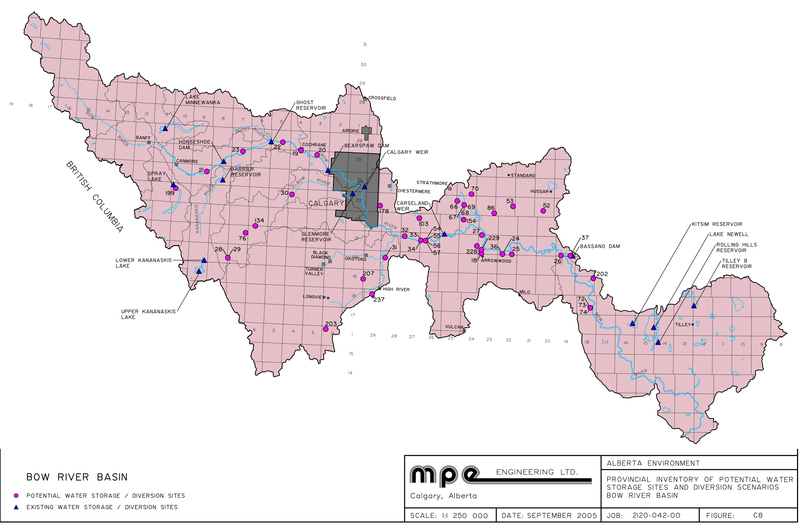 Click here for a full copy of the study (Assessment of Potential Water Storage Sites and Diversion Scenarios Report). 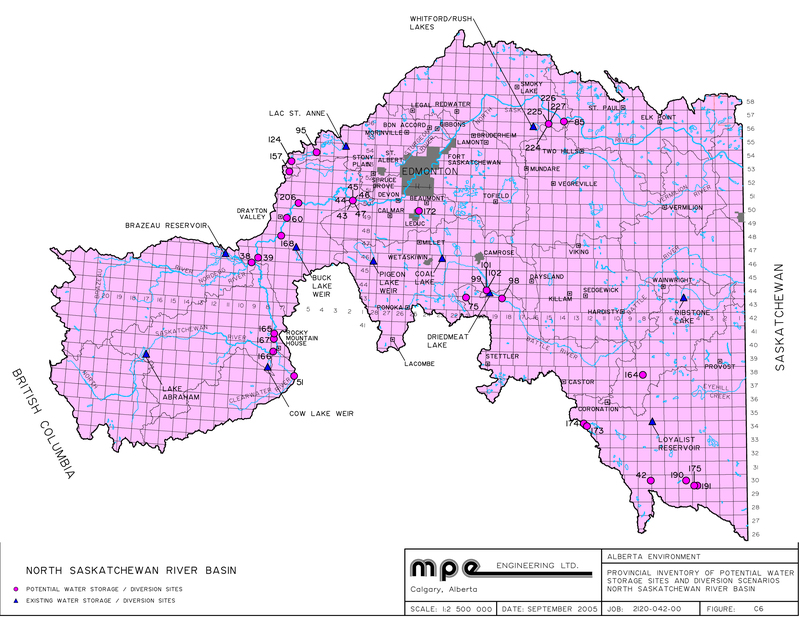 Advisories & Warnings, Forecaster's Comments, River Ice Reports, Water Supply Outlook, Maps and Data Summaries, and FAQ's for each of Alberta's major river basins. ACIS is supported by Alberta Agriculture and Rural Development, an interactive tool that provides weather forecasts, current and historic maps, and access to weather data received from more than 270 weather stations in and around Alberta. This service was developed to describe Alberta's weather, climate and related agriculture features to help with your long-term planning and decision-making throughout the year. Updated Daily/Weekly/Monthly Precipitation maps show current accumulated precipatation reports for daily, weekly, monthly, and storm events as well as archives. 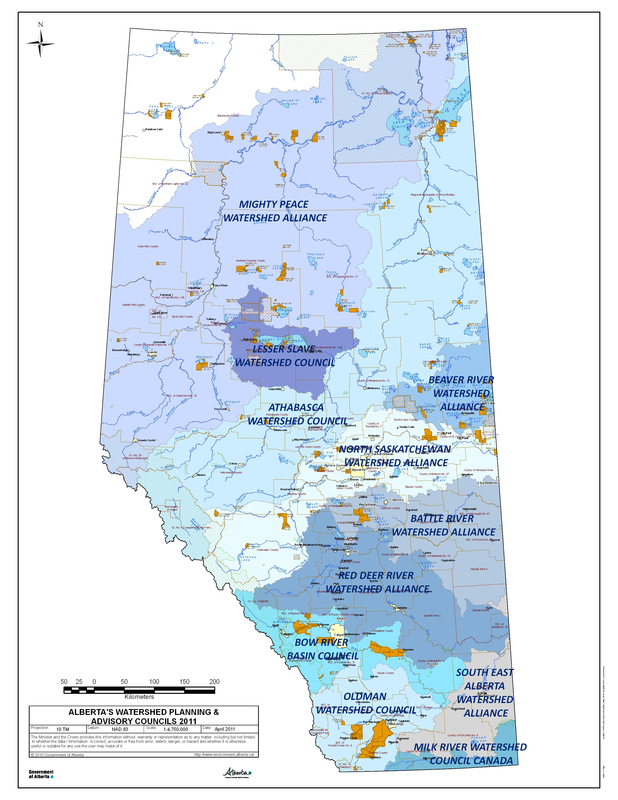 The following document provides an update of the Environmentally Significant Areas (ESAs) of Alberta including data and map for the province. The Drought Watch web site provides timely information on weather and climate relevant to the agricultural sector in Canada. 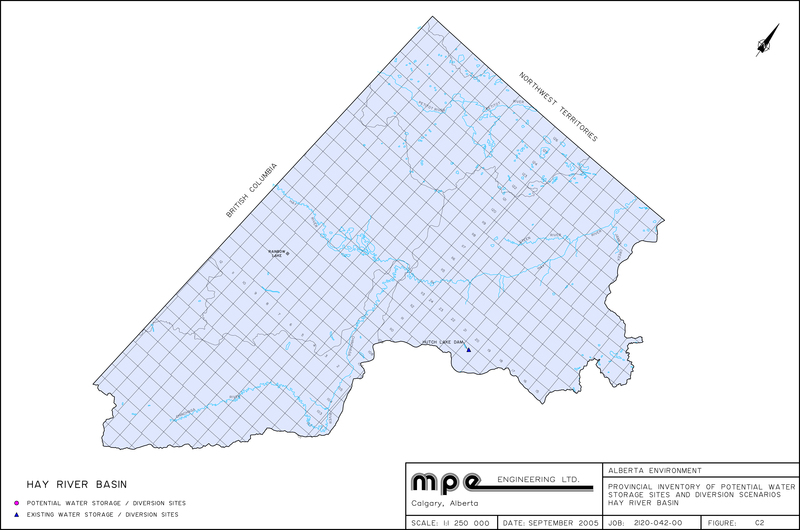 In this section, find information on water maps, water management, and environment-related water issues over which Environment Canada has jurisdiction. Supports "The Atlas of Canada" which has several Water Maps of Canada...even maps for recreational activities like swimming and beach activity, canoeing, kayaking and sailing, power boating and recreational fishing.